The zoning for industrial can be categorized into two categories: namely Industrial 1 (Heavy Industries) and Industrial 2 (Light Industries). 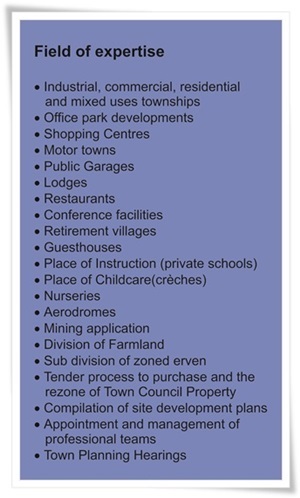 The rights can be acquired through township establishment on farmland or rezoning of zoned properties. The location of industrial areas is determined in terms of Town Council Policy Documents.